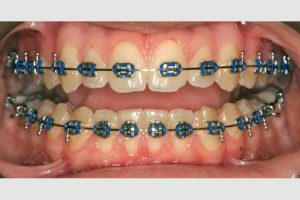 If a child has followed through with arch development and jaw orthopedics, then we have already achieved a good foundation for braces, without having to extract teeth to create space. 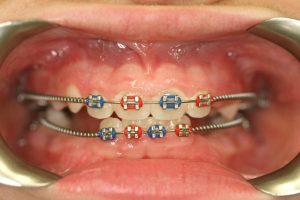 Brackets are placed according to the long axes of the teeth. 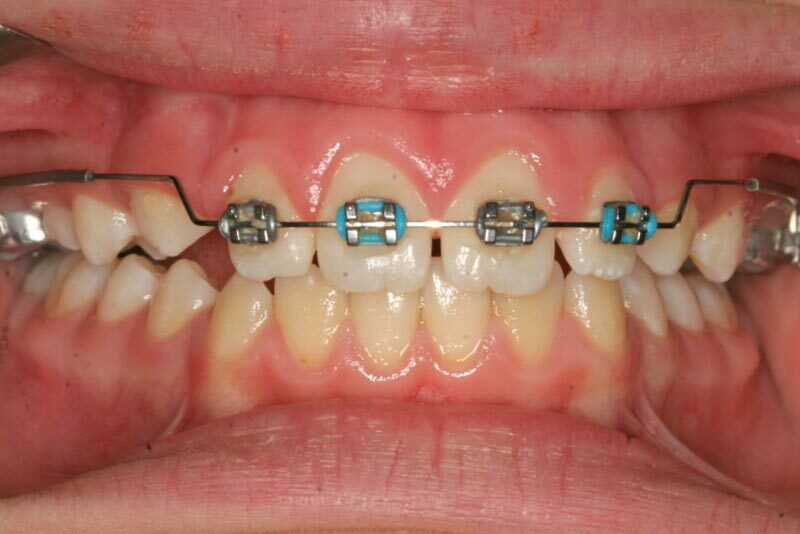 Soft titanium wires are then engaged into these, and the internal memory of these wires aligns the teeth over time. There are no sharp bends or activations of stiff wires as was the case in the past, which usually caused abrupt forces and pain, as well as root damage. As the teeth and their roots align, the wires are replaced with slightly stiffer wires. 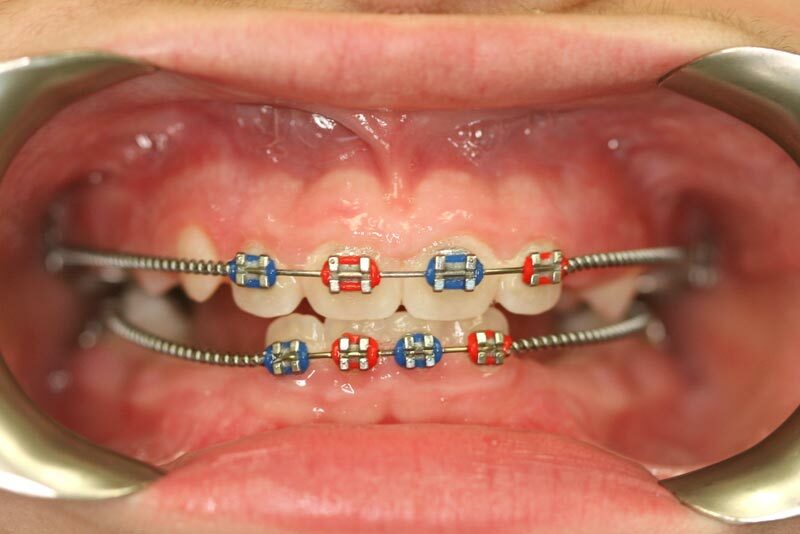 Non-extraction orthodontics. 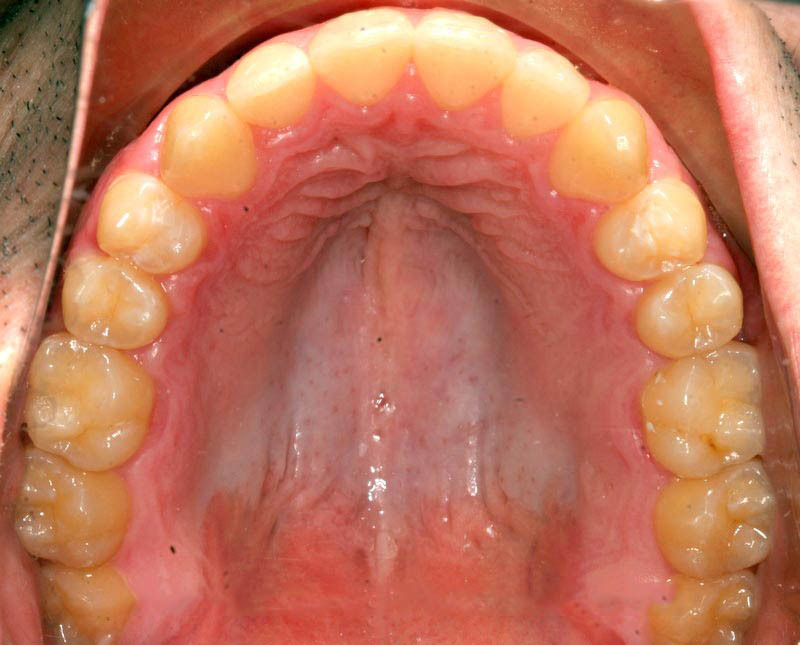 Four healthy bicuspids (the teeth between canine and molars) are never extracted for space. Mid-face development – Movement of teeth is usually directed forward to support the mid-face. Backward-directed forces (such as headgear) are never used. The upper incisors are flared forward for proper lip support and to prevent trapping the lower jaw in a backward position. The vertical dimension is opened even more during braces (if the skeletal dimensions call for it). This leads to more tongue space, a larger airway, a healthier jaw and a more favorable bite. The teeth are also allowed to settle in while being aligned. 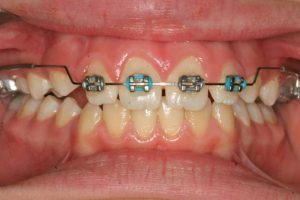 Metal brackets: nickel-free alloys are used, and the wire is held in its slot with a rubber “tie” which is replaced once a month. These ties come in various colors and are more fun for children and young teens. 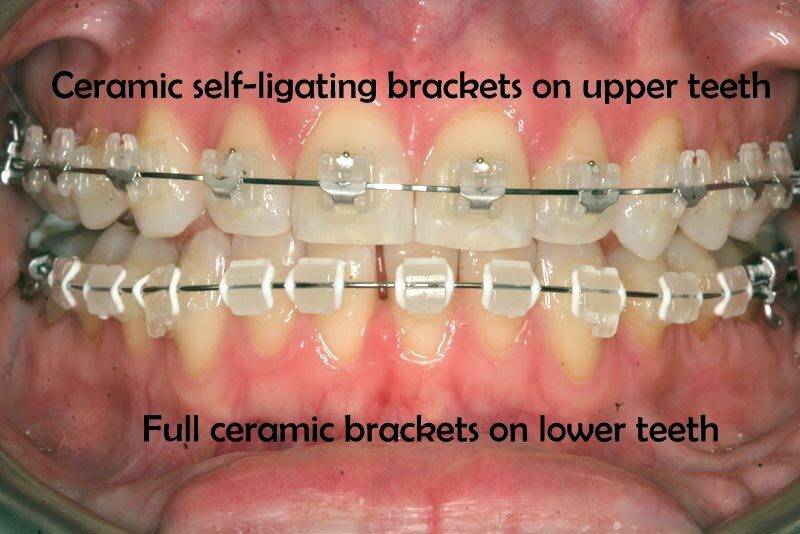 Metal-free white brackets: made of ceramic, composite, or sapphire. They are aesthetically more pleasing, however slightly thicker than metal brackets. These are indicated for actors or those who do not want to show too much metal. 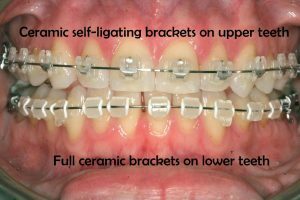 Self-ligating brackets: Available in both the metal or metal-free options, these have a small clip within the bracket to replace the rubber tie. They are for older teens and adults, and allow for more efficient tooth movements. They are slightly more expensive but cut the treatment time short by a few months.